El primer tanque soviético adaptado para la producción en serie, con 959 vehículos producidos desde 1928 hasta 1931. 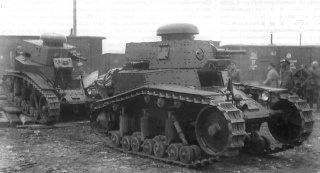 It is the smallest and lightest of the tier 1 tanks, and with its tail and hat, possibly the most visually distinctive. It also has a satisfying rumbling "put-put-put" engine sound. When equipped with the 45mm gun it can kill any other tier 1 in around three shots making this tank a very deadly tier 1 to come across. It also has the best penetration of any tier 1. 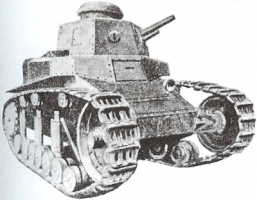 Good armor (for a Tier 1 tank). Powerful and fairly accurate top gun in the 45 mm mod. 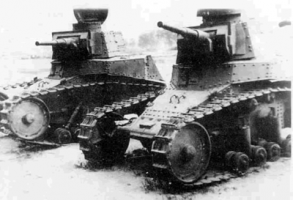 1932, with the best penetration of all the Tier 1 tank guns. Decent hull traverse and excellent turret traverse speeds. Small size and good camouflage values, making it easy to hide and difficult to detect and hit. Lowest HP of all the Tier 1 tanks. The starting gun, the 37 mm Hotchkiss, is decent enough against other Tier 1 tanks, but is very inaccurate. The 37 mm B-3 is a great improvement, offering superior penetration, damage, and accuracy to the Hotchkiss gun, while the 45 mm mod. 1932 is the probably best single-shot weapon available to any Tier 1 tank. It has the highest damage and penetration for its tier and will have no problem penetrating all but the most heavily armored tanks the MS-1 faces. Sniping with this gun can be very effective. The high damage per shot also makes it excellent for taking "snap shots" while playing "peek-a-boom" (moving out of cover, taking a quick shot at close range, then moving into cover again). All the single-shot guns have very long aim times (2.5 s), with only the QF 3-pounder on the Medium Mk I having a longer aim time. The MS-1 is not particularly well-suited to the play styles that autocannons demand, especially since it is one of the slower Tier 1 tanks. Despite this, the 20 mm TNSh and 23 mm VYa are still viable if the MS-1 can close the distance. Please note the Map Restrictions for tier 1 tanks when purchasing a camouflage skin/paint job for the MS-1. Camouflage is highly recommended on both crew members as their first skills. It turns the MS-1 into a near-invisible tank. The combination of Snap Shot (Commander/Gunner/Radio Operator/Loader) and Smooth Ride (Driver) is probably the only other viable option for a first skills, allowing the MS-1 to get its shot off faster after coming to a halt. The other skills and perks are not particularly useful for the MS-1. 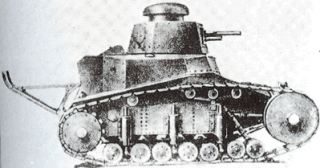 The T-18 suspension provides a welcome increase in the fairly low load limit, and is required to unlock the SU-18. The 71-TK-1 radio is unlocked automatically on the BT-2, T-26, AT-1, and SU-18 as their stock radios, so researching it on the MS-1 is completely unnecessary.